4. Heat butter in pan. Add maida and saute lightly, taking care that it does not change color. 5. Add milk, gradually, stirring continuously so that there are no lumps form. 6. Cook untill thicken the sauce. Switch off the gas. 7. Heat butter in a pan, add ginger garlic paste, saute it for 2 min..
8. Add mushroom and all the three capsicums(cut length wise), saute until their skin turns crispy. 9. Add salt, black pepper powder and half cup of water. 10. Cook for 2 min. 11. Add pasta topping and boiled pasta. 12. 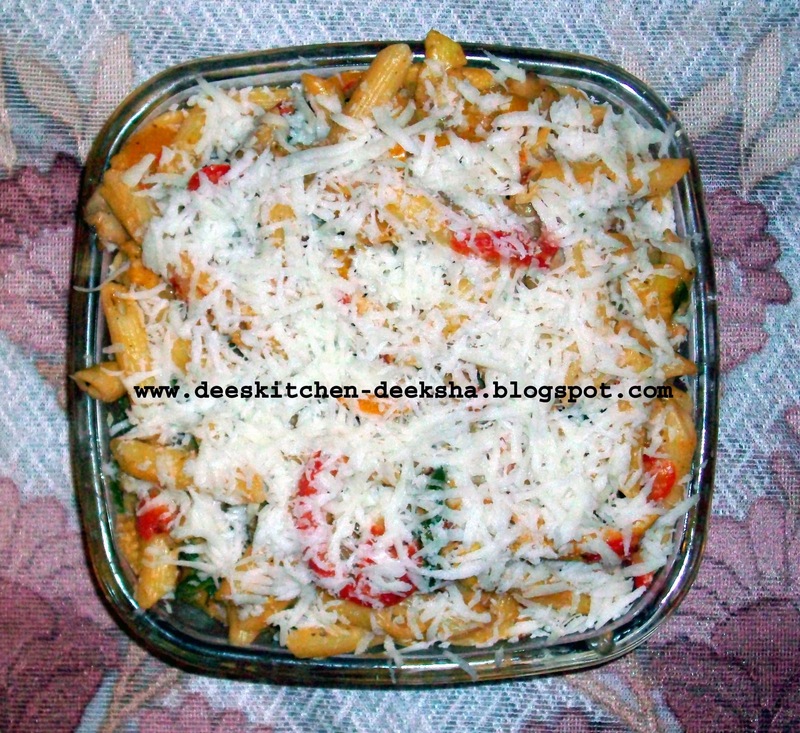 Add oregano, chilli flakes and white sauce, mix it very well. 13. Add green chilli sauce and boiled baby corns. 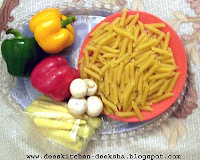 Love penne with white sauce... Nice clicks!